Ground-up design, engineering, fabrication, and installation of complex mineral processing systems. Corrosion Engineering has extensive experience designing and fabricating mining equipment to meet specific client and market requirements. We build high-value systems at the forefront of operational performance and wear resistance for the mining, aggregate, and mineral processing industries. 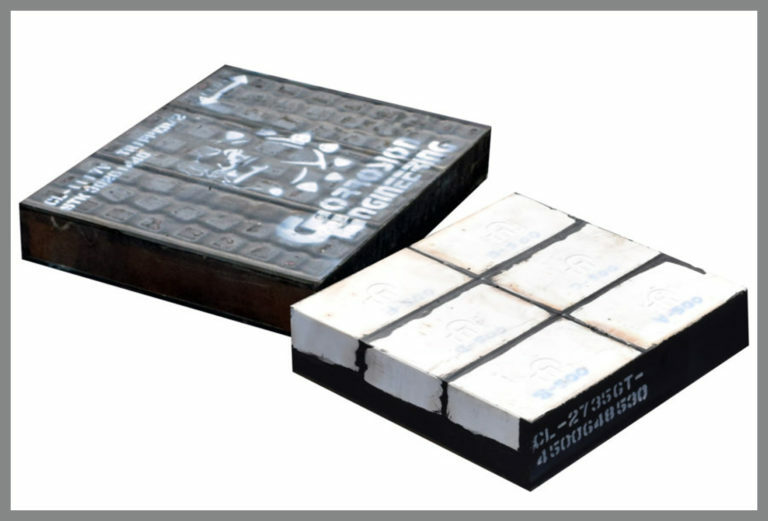 Corrosion Engineering offers a broad selection of custom products that goes far beyond our well-known lines of molded-rubber liners and screens. We take a consultative approach to serving our customers, discussing their needs and applications thoroughly before recommending the ideal custom-tailored product solution. With our proven history of success and our unmatched record of engineering achievement, Corrosion Engineering is the mining and aggregate industry’s most trusted partner for extending the life of material-handling equipment. Our complete engineered systems will reduce your total costs and improve your efficiencies for a variety of material handling applications. Our specialized drum lining systems eliminate the problem of corrosion for the highly acidic environment while providing optimal wear protection to maximize service life. Highly productive launders lined with our wear-resistant lining systems reduce production interruption and lining costs compared to alternative systems.